After selecting or dragging file at the Users Section => Setting => Import The import button does not work when you click on it nothing happens! 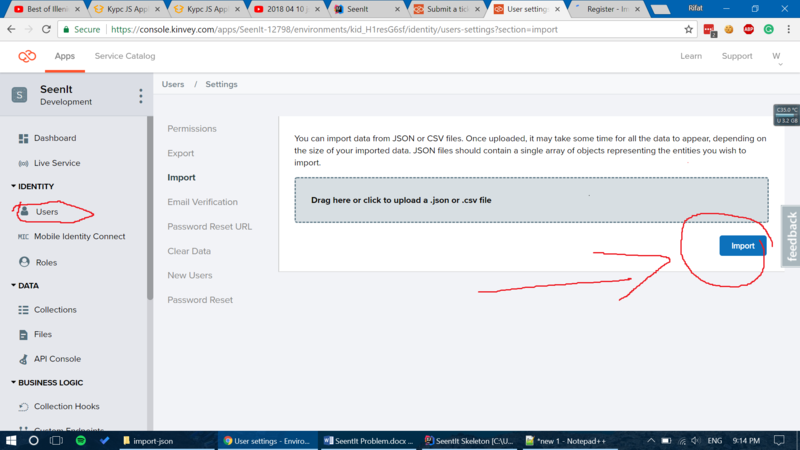 The file that I am trying to import is 2KB and is JSON. I am able to reproduce this issue. I will need some information from your side for escalating this to engineering. Can you please send us following screenshots from the browser's 'Developer Tools' when you click on "Import" button?